My work is more like a private journal than a public statement. I've always travelled as much as possible and been influenced by different sound worlds: the creak of rigging on a dhow, the crunch of boots on desert sand. The sound poems are full of autobiographical references. Jacques de Vos Malan's artistic development was substantially influenced by the music and ideas of John Cage and Morton Feldman, the theoretical writings of Umberto Eco and his own studies of Japanese aesthetics. After 1995, he spent fifteen years writing almost exclusively for small chamber groups, creating works which are typically quiet and sparse, dealing with abstract questions of signification, meaning and memory. In recent years, he has been working in a similar vein with digital and electronic resources, as well as found sounds. He works often at the limits of audibility, drawing on material that reflects his travels. Today he is most interested in the 'small sounds' work of Miki Yui, the improvisations of Toshimaru Nakamura and the 'Onkyo' music movement of Tokyo, the pioneering work of Eliane Radigue and the contemporary installations of Florian Hecker and others. 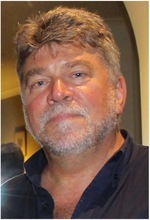 De Vos Malan's works-on-paper are published by Musications (Cape Town) and Seesaw Music (New York). His music has been performed, recorded and broadcast in Australia, Belgium, Portugal, South Africa, Switzerland, the UK and the USA and at the Banff Festival in Canada. Scores are included in the library of the Gaudeamus Foundation Contemporary Music Centre, Amsterdam, the New York Public Library, the Australian Music Centre and the National Library, Canberra. Electro-acoustic/sound art works are published through Soundcloud. His daughter Nicola du Toit is a performer-composer with the ShhArt Ensemble in Cape Town.